NEW YORK -- The surging Pittsburgh Penguins are closing in on the top spot in their division. Penguins defenseman Kris Letang missed the game with an upper-body injury. His status is day to day. Zach Trotman replaced him in the lineup. ... Rangers forward Jesper Fast will miss the rest of the season because of an injury. D Marc Staal was out with a lower-body injury and forward Chris Kreider is day to day after missing Saturday's win at Toronto. 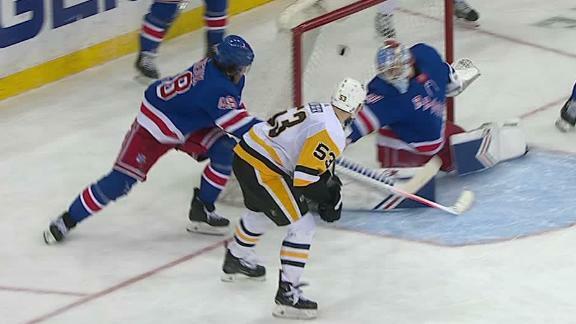 Teddy Blueger scores a pair of goals as the Penguins blow out the Rangers on the road 5-2.